Most people do not start thinking of home care until they actually need it. As a result, they are often forced to make important decisions under a great deal of stress. Making these types of decisions when a loved one is ill or preparing to be discharged from a hospital is not the ideal time to start considering which home care agency to use. 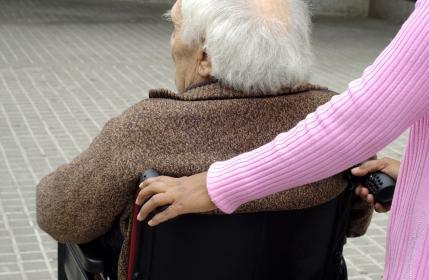 Crucial criteria might get overlooked under such circumstances – such as the agency’s reputation or what kind of home care system they offer. Avoid costly mistakes by making preparations now – before they are an immediate necessity. How do you begin? Make a list of local home care agencies and review their reputation. In today’s day and age, the majority of us read consumer reviews before we make a purchase – whether it’s a new television or a vacation package. The same principal is equally – if not more – important when choosing a home care agency. Reputable agencies take great care to maintain their good standing in the community and often go above and beyond to satisfy their clients. Home care agencies that offer a reliable home care system and home care software such as ClearCare are truly concerned with patient care and satisfaction. Dependable home care software allows families to stay involved with their loved one’s care on a day-to-day basis. The level of transparency provided by ClearCare’s home care system helps agencies grow a reputation for outstanding service that can really be trusted. Your loved one deserves the best care possible. Take the time and perform due diligence when considering potential home care agencies. Be sure to ask what type of home care software and home care system each agency offers. When researching the best home care system on the market, you’ll likely find ClearCare at the top of the list. Like quality home care agencies, ClearCare takes its good reputation very seriously and works hard to satisfy each and every client. Before interviewing potential home care agencies, be sure to check out our recent post: “5 Questions to Ask When Interviewing Home Care Agencies.” You’ll want to look for experienced caregivers, proper certifications, and reliable home care software. Don’t wait until the need for a home care agency is suddenly upon you. Start narrowing down your choices today by asking friends and family for their recommendations. Once you’ve compiled a list of agencies, make your own list of what features are important to you. Next, research each agency’s reputation. Like dependable home care software, a reputable agency will qualm your fears and ease any anxiety you feel about leaving your loved one in another’s care. ClearCare does not provide professional advice or consultation and provides the above ideas simply as reference for individuals who own or manage a home care agency.